And the life fell lifeless. She pushes you to your limits, to your breaking point. To see if you’re really worth her time. Its her way of shielding herself from more disappointment. She made you act the most disgusting way. She is heavily guarded by walls around her, you shiver in the wrath of cold wind, outside. And when she isn’t that happy go lucky as she seems from outside. She just try to see if you are worth shedding her layers for. I have watched you looking at her the way i look at you. And i saw the pain on your face that i understood. And you are locked in suffering forever. To change what is true. Like i do for you. Portraying a bold face or a cold indifference. Both of us silently screaming. I know you wanna grab her and ask why? Why it can’t be you? Why it can’t be me? You want her to make you hate her, i want to hate you too. But what can we really do? Its not her fault, its neither mine nor yours. You for her and i for you. ‘I don’t think its a good idea guys. ‘ said timara for the fifth time. ‘ Cmon dude it’s fine.’ Rachel chirped. ‘I think we took a wrong turn’ timara tried again nervously. And suddenly the place felt right to timara as if it was where they are supposed to be. it was like coming back to a place. She walked out of the car and collapsed. They thought it was her usual dizziness and she shook her up. She had this weird vision of the place but she couldn’t make anything out of it. She stood up and looked around. It was like a old fort, long stairs leading to pillared boundaries of an open hall. Strange charge in atmosphere that makes you jumpy. Its like Something is moving but when you turn around to look at it everything is just so so very still. they decided to take a better look, to explore some more, to capture it. It was Huge place and very difficult to keep track of the ways but somehow timara knows exactly where to go and what she gonna find out there as if she is been to that place before in a dream maybe. soon the sun was setting it’s Twilight, atmosphere turned shivery. they decided to call it a day and return but they lost the way to exit. they started calling for help and suddenly they saw an old man. ‘timara you have a strange relation with this place don’t you feel it? I think you do. what do mean? I have never been to this place. Timara replied. don’t you? are you sure about that? Said the old man suspiciously. ‘No. I don’t. I have never been to this place I..
let’s get out of this creepy place. She said stubbornly her stomach dropping. ‘This is rubbish. I don’t believe in this superstitious rubbish. We need to get out we need to get out now.’ yelled David. No, we cant. As the words came out of timara’s mouth she was shocked. By they i mean mike and Shelly. Mike being a maths nerd was only there because Shelly loved parties. She wasn’t IMPOSING or anything it was how their friendship worked. Mike being cool with whatever Shelly wants and Shelly being Shelly cool, unpredictable and reckless. Mike was wondering what hell was he doing in the middle of this stupid game when the bottle stopped in front of him. And a moron guy asked him to kiss Shelly. Kiss! Kiss! Kiss! Everyone shouted as of their lives depend on his first kiss. It’s ok mike its just a game said Shelly. Just a game? He wanted to do it since forever, he has been in love with her since middle school but here he was a shy friendzoned maths nerd and she beautiful, outgoing, popular girl oblivious to his love for her. It was a relief for him. The UNCERTAINTY was too high even according to his calculations. He can’t put his friendship on stake by telling her. He was shaken out of his thought by Caleb, the cool guy who has been hitting on Shelly from the moment they arrived at his party. Cmon dude, be a man. Kiss her i know you want to. Caleb smirked. Shut up Caleb leave him alone. Shelly chided him. Well that was worse, she coming to his rescue. C’mon oh! you don’t know how he looks at you, almost drooling. I bet he kisses you in his dreams. And it was too much, he walked away. They were out on the road. She grabbed his hand. Mike where are you going? I don’t belong here Shelly this place isn’t for guys like me. He said. What are you saying you love coming to these parties. Shelly replied confused. No i come because you like these parties, i come for you. But i can’t kiss you like that. Not like that no. Like what?. He was thankful that it was dark out there. And then out of the dark they saw HEADLIGHTS coming fast towards them and they held each other’s hand, closed their eyes. But it came to a HALT right it front of them. “More than ever” he said. “move out of the way idiots ” the guy in the car yelled. Laughing they both went hand in hand towards love. I waited my whole life For this to happen.That someday i gonna take a turn and the scene would be different. Just when i decided to give up i stumbled across it. I ran into an accident and woke up in it. World,the rainbows, the river, the scent of flowers,Birds chirping,Squirrels running. I also saw mister beaver. Some candy trees of every flavor i saw gnomes squealing giggling And a fairy whispered in my ear. “You came here oh mighty human! To this ENCHANTED perilous place. ” PERILOUS ? ” … and every beauty has a price.” She corrected. The fairy choked with wide eyes and flew away in mist. I call for her but she disappeared so i tried taking a look around, went in the dense forest. Eyes blindfolded, i was lifted and i felt the earth moving then stopped when the smell of mud filled it. I ripped the blindfold off in the darkness. I stood up and looked around.there was noone. I was in a cave,the walls were wet. A little nudge on the feet i blinked and look down. Drawfs? Because its not safe out there for you sir. Mitaku replied. This is the world of beautiful ILLUSION sir. To some its a big plate of food, To some its a whole world. You made this world happen, so think what peril you must have added? Look around and think what it reminds you of? The land is as beautiful as fillory, the creatures are as funny as narnians then if i added fillory and narnia there must be something of potter’s. Its black and fluffy no pink sir without a nose under a hood. We can’t take her name sir. You know who is a she? I gave a shaky laugh. It is really my imagination. So i need to defeat her? Yes sir if you defeat her the kingdom will be yours. Easy peasy its all in my mind isn’t it? You don’t know the peril of poisonous thoughts sir. You made it all happened by what you thought and once you think you can’t unthink it. She is made up of your weaknesses, your worst nightmare, your worst memories. We have been keeping up with her but its you who needs to fight her or she will take over and this whole beautiful world will be enchanted with her darkness, we will all be frozen forever and you will suffer a fate worse than death. I gulped. How do i fight her? oh silly with all the goodness you have. Squealed a tiny little goblin girl from behind. i told you to keep quiet terri said the leader mitaku. So there are goblins and fairies and talking animals what else?no human? Obviously he is talking about the fountain girl. Squealed terri. No no don’t stop her. Speak little one. Blond hair. Merpeople say she is a cursed witch. To free her from curse you have to kill the witch. Lets kill the witch i said. If you want to kill the witch you need to defeat her in her own game. Its now or never. I have waited my whole life for a chance now is my chance to do something good, to be a hero. I gonna challenge the evil witch i gonna save the good witch and i gonna rule this mind palace. Marching out of the cave towards the battle ground. The scene at the battle ground resembled that one stage i never succeded in the video game. She was there with a glowing sword laughing at me. I had my bow and arrow ready. Its simple three chances to kill and survive or lose and die. I missed the first arrow, she moved so fast and i saw blood dripping, she got my shoulder. Aim at the hawk, the evil’s bird. She gets her power from th bird. Kill the bird. I know i just have this one moment before voldmridge knew what i did, i did it. She screamed with pain and fury and all went black. Every humiliating memory, every bad experience flashed around my eyes. The day he died, my father. The day she left, my lover. The day i failed. The darkness was growing on me slowly and slowly but then she jerked me up like a white light. Don’t lose it she said aim at her black heart but with the bunch of good thoughts, beautiful memories and happiness. you can do it. I saw my mother’s face smiling, dad’s proud pat on my back, my dog running towards me and i killed the evil witch. The beaver crowned me the king. The savior of my own world. She came smiling, more visible, more beautiful. Will you be my queen? Oh but i already am. I m here in my enchanted world. He will survive, the accident was horrible..
“He may remain in coma for indefinite time” said the doctor. I stumbled through platform 9&3/4 and some how ended up boarding the hogwarts express. Enjoying the chocolate frogs and betty bott’s every flavor beans i went to hogwarts. And it became a home to me. Every time Hermione scored some points i tirumped. I hopped on my broom to catch snitch like harry. The mirror reflected my desire to be there. The basilik tried to kill me. I loved hagrid’s tea parties though his rock cake messed with my teeth. I hated draco just for the fun of it and in potions me and neville almost failed. When the masmurderer was running amok, i try hiding in harry’s invisibility cloak. Though they weren’t in hogwarts a history. I ate canary creams, feathers all over me. I went to feed thresals with luna. She said i m as sane as she is. Memory lane with Dumbledore right through the penisieve. I skipped a beat when Hungarian horntail almost got harry. My patronus was a bird soaring. And fought in the battle of hogwarts. Several times through books and movies. Be it Dumbledore, fred, sirius, tonks, moody, remus or dobby. Yes i won the triwizard cup. Yes i was in gryfindoor, slythrin, hufflepuff and ravenclaw. The book is my patronous to the dementors of life. Teenage love, roses, chocolate, hide and seek romance, innocent promises. The twilight saga seems a perfect partner for any teenage girl.Where do i start? “It was nice to be alone, not to have to smile and look pleased; a relief to stare dejectedly out the window at the sheeting rain and let just a few tears escape.”? the way lion fell in love with the lamb? Edward masen cullen, a good vampire, a perfect boyfriend. Every girl’s dream guy. 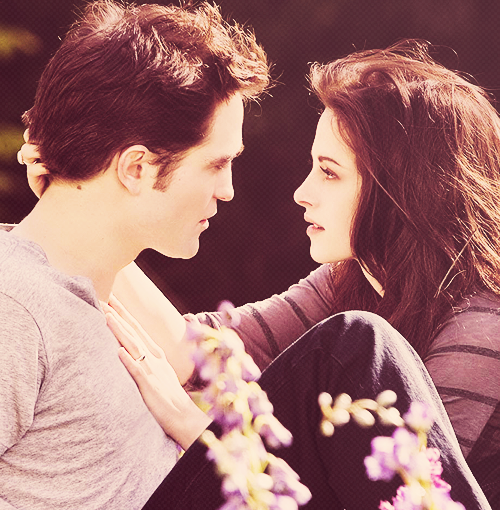 And like bella we all ran to him racing to save something infinity more precious. Somewhere twilight has made me a better person , even if i count the similarities in choices or dissimilarities in actions both as equally been eye opener to me. It was a rainy day, she was walking home from work without an umbrella when she met a stranger. With sharing the same umbrella and sipping tea together soon the strangers became less than strangers. The stranger became more than anyone else. It was the right time to confess. He said he isn’t what she thinks. It can no longer happen. There is no future for his being. And she will never see him again. He was gone as if he wasn’t ever there. As if she imagined him. Since then, every rainy night.